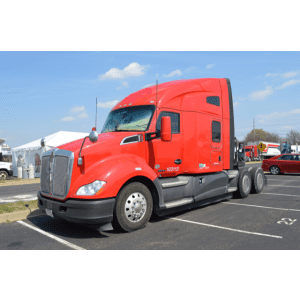 Americans call Kenworth sleeper truck the most reliable vehicle with the oldest history. 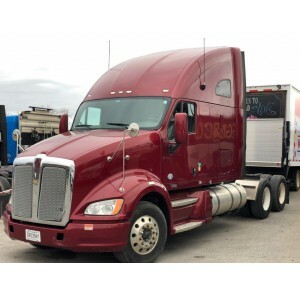 When Kenworth Truck Company manufactured its first trucks (it was over 100 years ago), no one could guess that with time the powerful truck with a cabin equipped with a cozy bed for a driver can appear. However, it has happened! 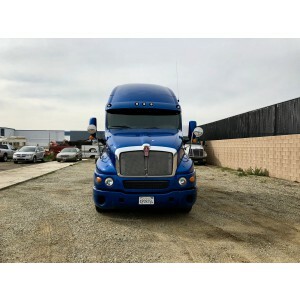 This American Company has already released several models of outstanding Kenworth sleeper truck. They include T-440, T-470, T-680, T-800, T-880, W-900, C-500, T-2000, T-600, T-950 vehicles differing by engines and technical characteristics. We will speak about the models that are the most popular ones on the market of used vehicles. 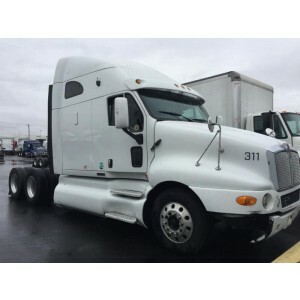 The cab and plumage of these machines manufactured since 1992 became the first experience of Kenworth engineers in the field of aerodynamics. Tests of this truck were carried out in the wind tunnel of the Boeing aviation company, which allowed reducing the aerodynamic resistance of the vehicle. 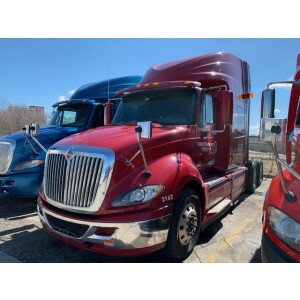 Today a buyer can find the used Kenworth sleeper truck of this series with a wheelbase from 4064 to 6604 mm and in-line Сummins or Caterpillar 6-cylinder diesel engines 10 to 14.6 L volume and capacity of 309 - 557 hp. The shifted front axle provides high maneuverability, which is ideal for delivery and main transport operations. 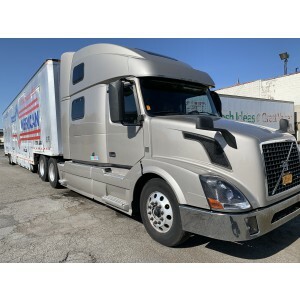 The T600 has a low weight and is excellent for those who want to increase the payload in transportation. The installable sleeping bags of the truck have length up to 218.5 cm. 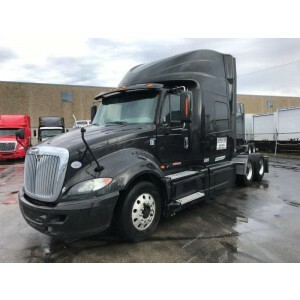 Due to its design features, the 7 ft cabin of Kenworth T2000 is made in the form of a single module; the sleeping compartment is quite spacious, excellent visibility is provided due to the large glazing area and high seating. The buyer can pick the truck with any of 9 sleeping compartments. The smallest one, Aero Cab Flat Top Sleeper, which length is 965 mm makes the truck cheaper. The most comfortable is a vehicle with Studio VIT Modular Sl (1880 mm). The company paid special attention to noise insulation and increased it by 20%. 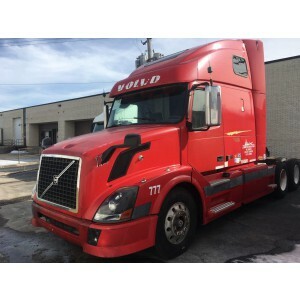 Kenworth T2000 is completed with Cummins, Caterpillar and Detroit Diesel engines. The working volume of engines varies from 11 to 15 liters, power — from 280 to 600 hp. The most popular one is Caterpillar C15 with 6 cylinders, a volume of 15 cubes and a capacity of 435 hp. Caterpillar diesel has an additional manual pump. This is a very important detail, useful for starting the engine in winter. The most popular W900 series has been produced for 50 years, but the model was so successful technically that it continues to be in constant demand among consumers. 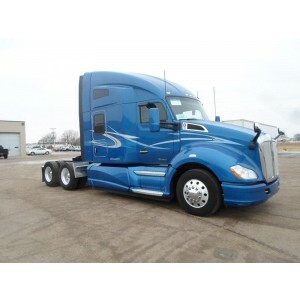 Kenworth modern modifications are distinguished by large comfy cabins equipped with convenient living compartments. 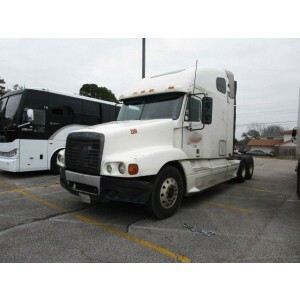 The popularity of Kenworth trucks is also great due to the fact that the repair of the trucks is not difficult. 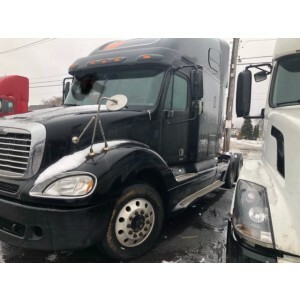 The market always offers a bunch of spare parts, the high quality of which ensures that the car will serve a trucker for many years after the repair.